Since the age of 10, Alicia Schultz has loved nursing. She began her career in 2003 working as a registered nurse at Vanderbilt University Medical Center. Afterward, she obtained her M.S. 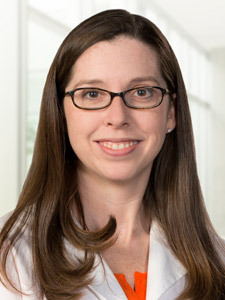 in nursing from the University of Kentucky in 2008 and began working as an Oncology Nurse Practitioner at Emory University Hospital Winship Cancer Center. Schultz moved to Tulsa in 2013 and now treats the acute care needs of patients at St. John Health System. She currently works at Pathology Laboratory Associates performing bone marrow biopsies and is pursuing her Doctor of Nursing Practice at The University of Tulsa. Schultz’ specialty is caring for the malignant and benign hematology patient.